Is it an out-of-this-world birthday bash or a dainty crisp baby shower? If you have envisioned the idea of your event, then it’s time to hire an Event Coordinator to make your vision a reality. Each event consists of different components sewn together and an event coordinator is the one who sews together all those details to create the event that you are dreaming of. However, in general, an event coordinator does not exactly get involved with the look or design of your event, they are there to make sure all elements of your event fit together and everything goes smoothly. They also make sure that your guests are appeased with the affair. If you have a large event, having an event coordinator is valuable. Hire an event coordinator as soon as you envisioned your event. An event coordinator will make sure everything goes off without a hitch. They will organize everything, from day-1 until all are on-site and only a few hours before the event begins. And when problems arise during your event, your event coordinator will make sure you won’t even notice it. You need an event coordinator to take care of the details, freeing yourself up to mingle and enjoy your event. Your event coordinator will help you in outlining the scope of the event — the purpose, number of guests, date and time. Once the outline is clear, your event coordinator can aid you find vendors and will act as a liaison, define the timelines and set the budget. All that nitty-gritty of managing an event is covered, you don’t need to lay your hands on it. 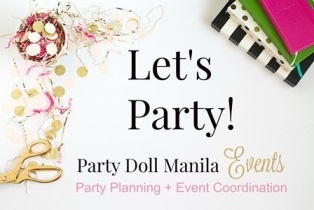 An event coordinator will sit down with you to furnish your goal for the event. They will seek and understand your desires for the affair and will discuss the budget. The event coordinator will also meet with your vendors and discuss the logistics. They will make sure your vendors are on-site at the right time. At times, event coordinators check with your guests and ensure they are comfortable and pleased. They may also oversee the catering services and entertainment to nail down any untoward issue.